Criticism intensified given that Rep.-elect Green holds a medical degree. After drawing a link between vaccines and autism earlier this week during a town hall with constituents, incoming Republican congressman Mark Green of Tennessee partially walked back those comments Wednesday following an uproar over the scientifically inaccurate statements. (Mark Humphrey/AP) Tennessee State Senator Mark Green, R-Clarksville, speaks at a rally in this May 29, 2018 file photo in Nashville. On Tuesday, the congressman-elect, a medical doctor, told the group assembled in Franklin, Tennessee, that "there is some concern that the rise in autism is the result of the preservatives that are in our vaccines." "As a physician, I can make that argument and I can look at it academically and make the argument against the [Centers for Disease Control], if they really want to engage me on it," Green added, in video obtained by The Tennessean, after he had pledged to "to stand on the CDC’s desk and get the real data on vaccines." Green, who was elected last month to represent Tennessee's 7th Congressional District, was referring to a belief that has grown in recent years stemming from a debunked 1998 study that drew a link between vaccines and autism. The study was eventually retracted and the doctor who conducted it lost his medical license. Despite this, the CDC has recorded a steady rise in the number of children who are not receiving vaccines or exempt from school vaccination requirements. Even after the congressman-elect's follow-up statement became public, he continued to face backlash, including from members of his own political party. Sen. Lamar Alexander, R-Tenn., tweeted Thursday: "Vaccines take deadly, awful, ravaging diseases from horror to history." "Vaccines save lives," he added, attaching video of himself speaking about the topic in the Senate Health, Education, Labor and Pensions Committee. Alexander made no specific reference to Green in the post, however. Later Thursday, the Tennessee Department of Health released a terse statement on the subject. "Vaccines do not cause autism. Vaccines save lives," it read. "The Tennessee Department of Health welcomes discussion with Tennessee clinicians and scientists who would like to examine the evidence on this topic." Green, who received his medical degree while in the U.S. Army, served as a flight surgeon and later founded a health care company. 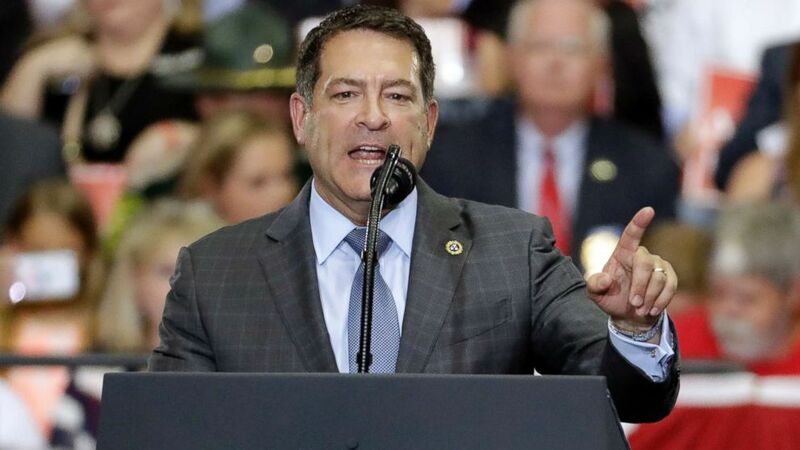 After a stint in the Tennessee State Senate, he was nominated to be Secretary of the Army by President Donald Trump in April 2017, but withdrew his nomination amid controversy surrounding past comments in which he likened being transgender to having a disease.